Ok, so they’re usually biased and certainly the methods of evaluation and marking always have their flaws. And the jurys end up in rows, while audiences are offended that their particular favourite was not given the prize they consider proper. But I like to listen to my venerable great-aunt, Dame Fanny Waterman, founder and year-long chairman of the legendary Leeds International Piano Competition (prize winners include Rafael Orozco, Radu Lupu, Murray Perahia, Mitsuko Uchida, András Schiff, Louis Lortie, Boris Berezovsky, Lars Vogt). She has Yorkshire grass-roots and simply says: „What’s the alternative?“. As a person who devoted most of her 97 years (and still is!!) to furthering piano playing and music on all levels and ages and who has seen the world’s greatest competitions from the inside for decades, she sees this business in a sober way: in her words, competitions are the best alternative to our modern age’s lack of wide-spread patronage by royalty or the church, who in olden times furthered talent and thus enabled a life in music. If there weren’t competitions, how would you be able to draw attention to yourself, where would you be able to present yourself to a considerable number of leading performers, conductors, managers, promoters and eager listeners all sitting in one hall? Where indeed would you get a chance to perform a series of programmes, solo recitals and concertos, in front of a curious audience? 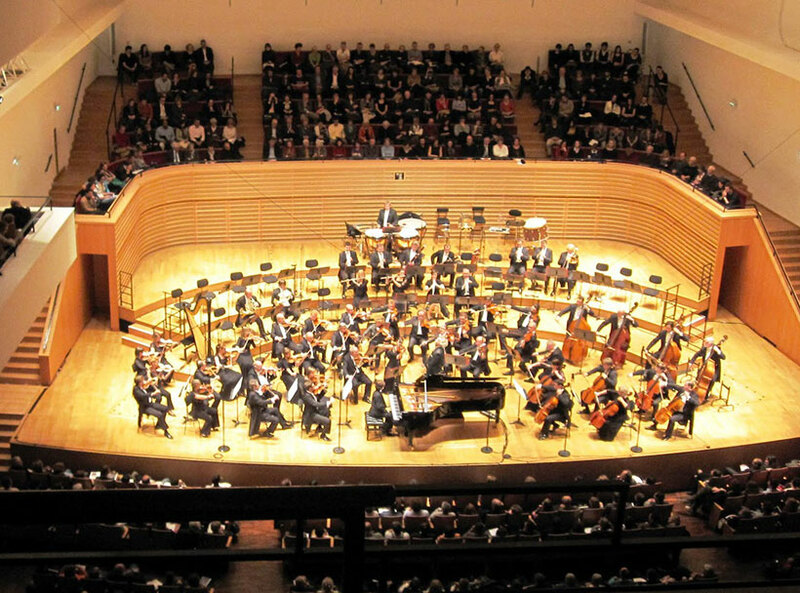 Who would let you play with a renowned orchestra and conductor (without a generous bribe)? I tend to agree with Dame Fanny, in spite of all shortcomings of competitions. See them as a unique showcase, see them as a moment of defiance, a moment when you test your nerves and stamina. By enrolling, you force yourself to learn a certain repertoire and bring it up to performance level within a defined period of time, you train yourself to go out on stage, to fight against many, if not all odds. If you brave a competition, you can defy anything! Having regularly gotten through various stages of a competition lets you take adverse situations lightly: you will be able to play while feeling totally ill, when the lights unexpectedly go off (or mobile phones!! ), when a patron in the audience collapses while you need to get to the end of a late Beethoven sonata, when your dress pops open on stage or when (what normally only happens in nightmares) you forget the music you are playing... Bad reviews or half-empty halls, creaking pianos and broken strings, insecure conductors and insensitive partners – nothing will prevent you from delivering an inspired, beautiful performance. Having gone through the artificial set-up and heightened stress of competitions, you are practically shock-proof! And you needn’t win! I myself for instance prefer going to second rounds and semifinals and come to a decision of my own. And have made wonderful discoveries in the process. So even if you don’t win, people will hear you and who knows, some might be important and just make the difference. But don’t forbear with that winning spirit…! Always go in with the conviction that only you are worthy of the First Prize and fight your way through to the end! Every time you go on stage you should feel the same kind of adrenalin and energy. You have to win your audience every single time you go out there.